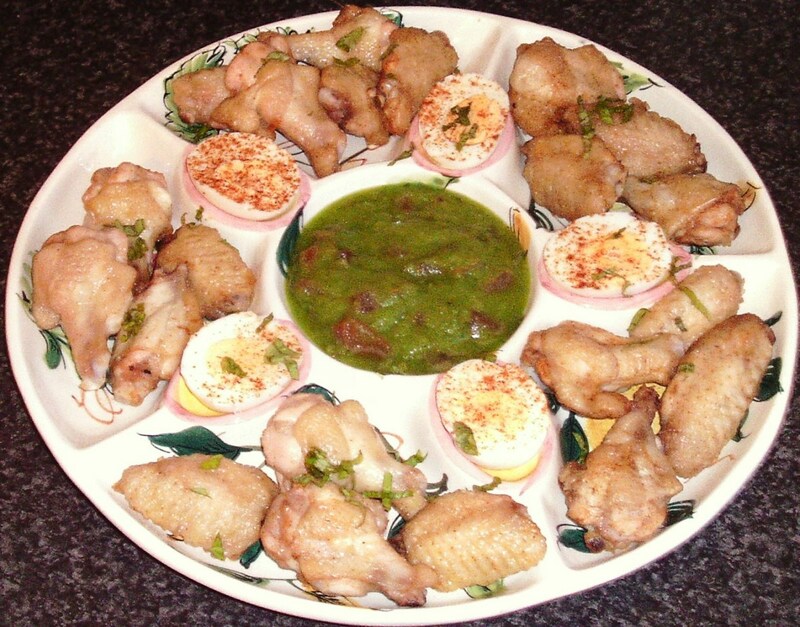 Why should it be that chicken thighs do not seem to enjoy the widespread popularity enjoyed by legs (drumsticks) and wings, when it comes to tasty, individual pieces of cooked chicken? 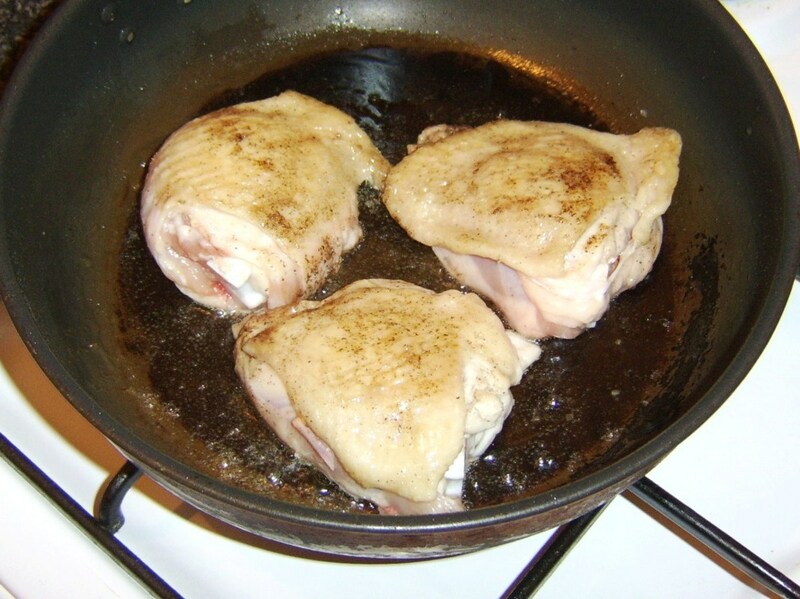 It is probably fair and true to say that most people have a favourite piece of the bird which they like to eat but, how many would list theirs as chicken thighs? The thighs not only have an abundance of meat on them, but that meat is incredibly tender and delicious. 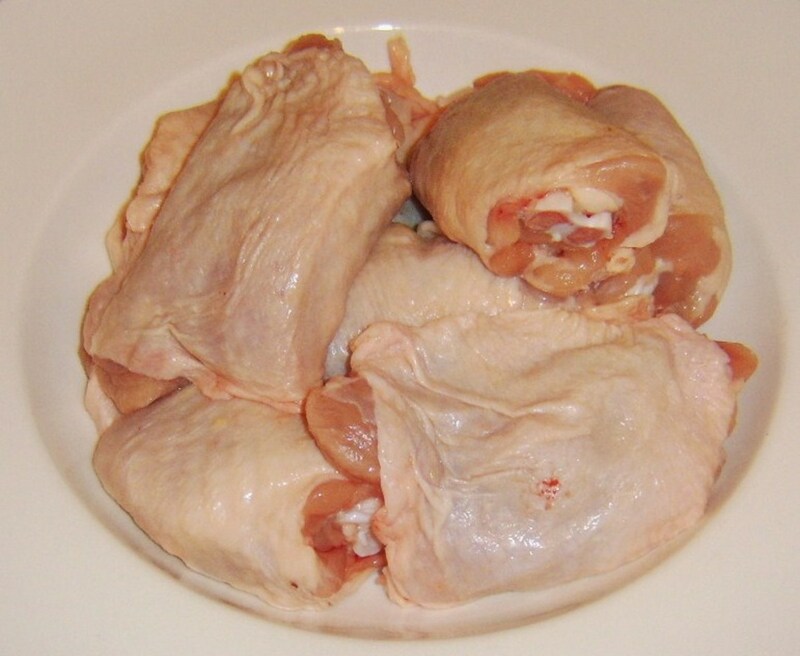 It could almost be described as being a middle ground between the darker, more moist meat of the leg and the white, occasionally dry, meat of the breast. 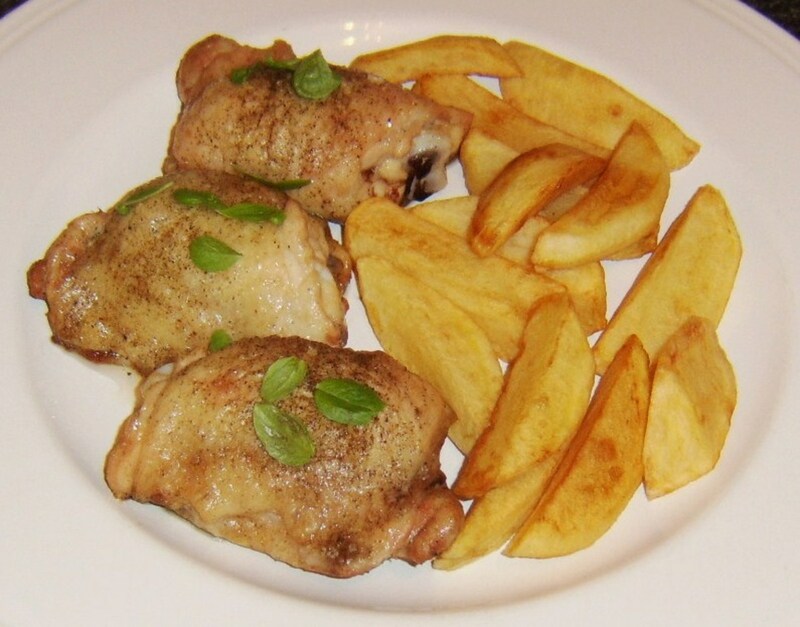 On this page, you will find a number of potential cooking methods for chicken thighs, as well as full recipes for serving suggestions. Note: All the recipes on this page feature ones purchased and cooked with the skins on. Casseroles are a fairly quick and easy way of cooking many different types of meat and vegetables. This recipe is designed to serve two people, along with plenty of fresh, crusty bread. Put your oven on to preheat to 180C/350F. 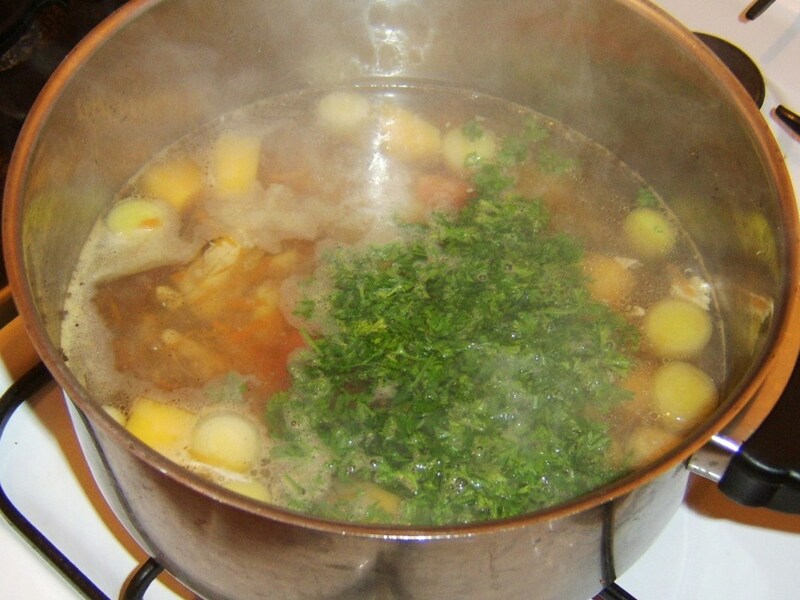 Put the stock in a pot and gently heat until it reaches a simmer. Peel or skin all the vegetables and dice to about one inch. Do not chop them too small or they will lose their texture during cooking. 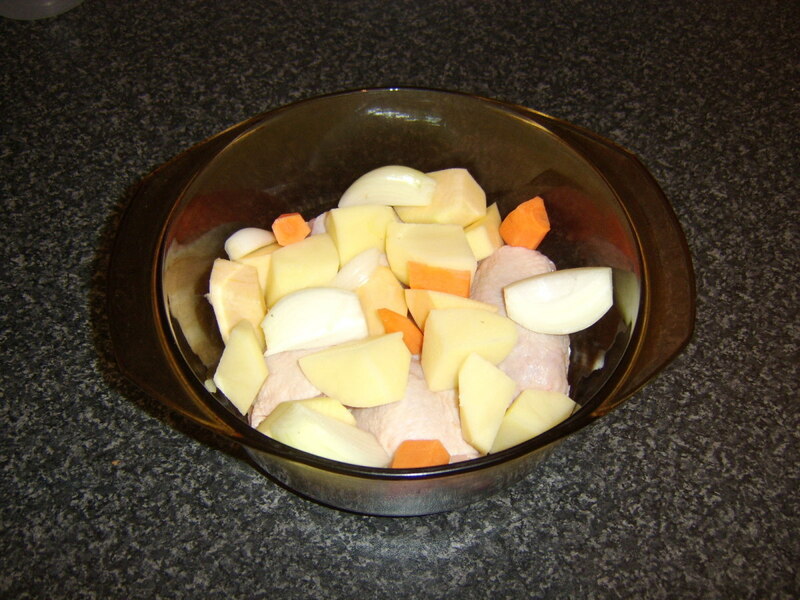 Lay the chicken in a large casserole dish and cover/surround with the vegetables. Season with sea salt and white pepper but do remember your stock will (should) also contain seasoning. Pour in thestock and ensure everything is covered. Add a little boiling water if necessary. Put the lid on the dish and cook in the oven for forty-five minutes. 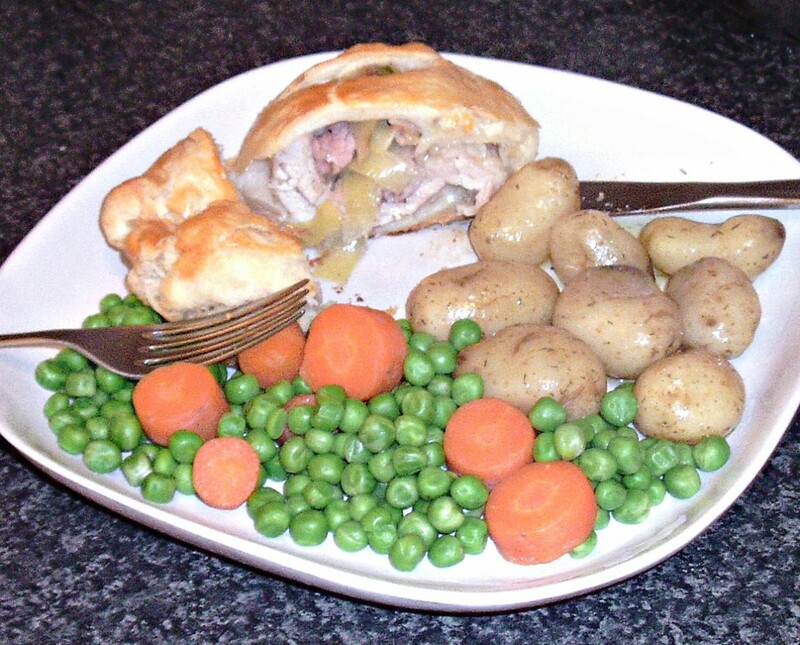 This is a dish which could equally well be prepared in the oven as a casserole. 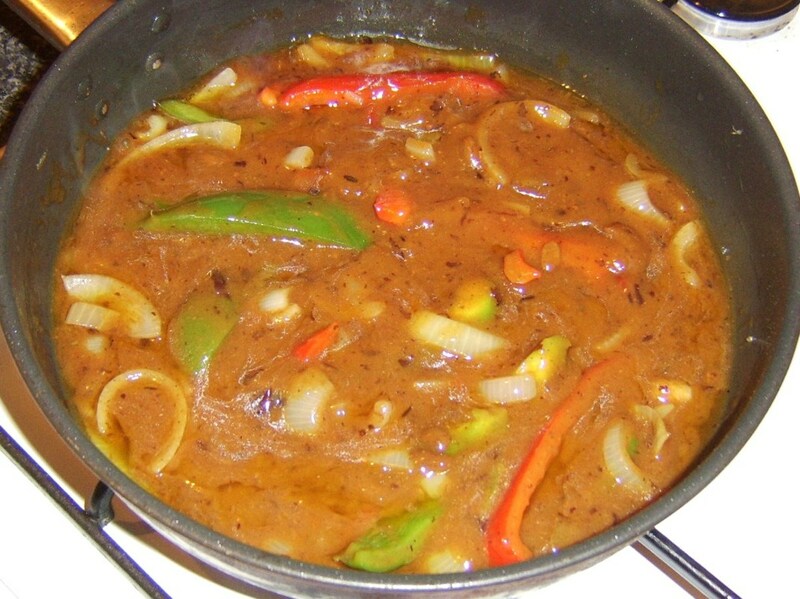 The black bean sauce could also be replaced by curry sauce, sweet and sour sauce, or any type of cooking sauce to suit your personal tastes. 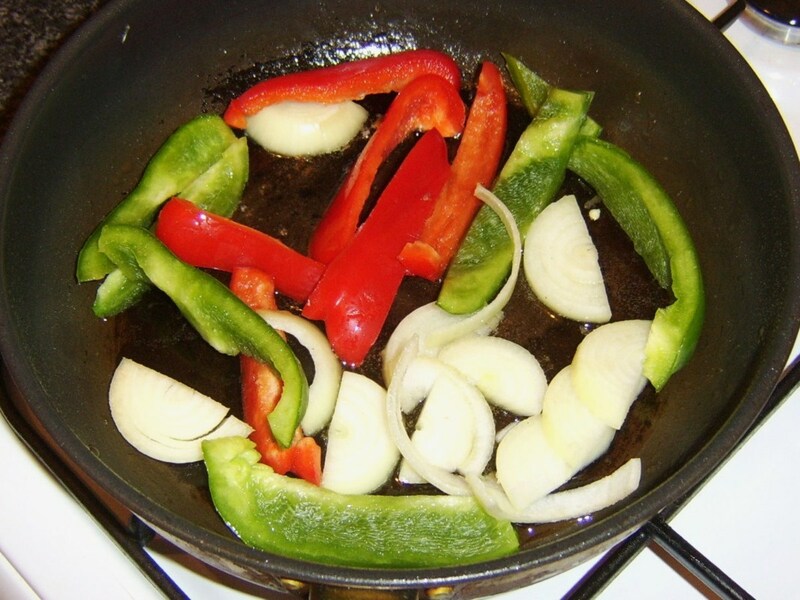 Add a little vegetable oil to a large non-stick frying pan (with a lid) and bring it up to a moderate heat. Season the thighs with salt and pepper and fry for about a minute or so each side to brown. 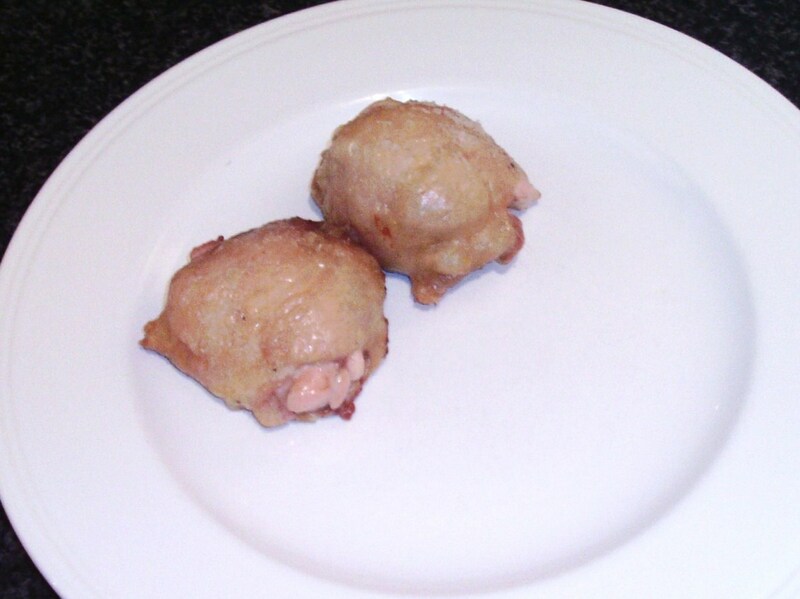 Remove the chicken thighs to a plate. Remove any remaining seeds from the pepper halves and slice to a thickness of around half an inch. 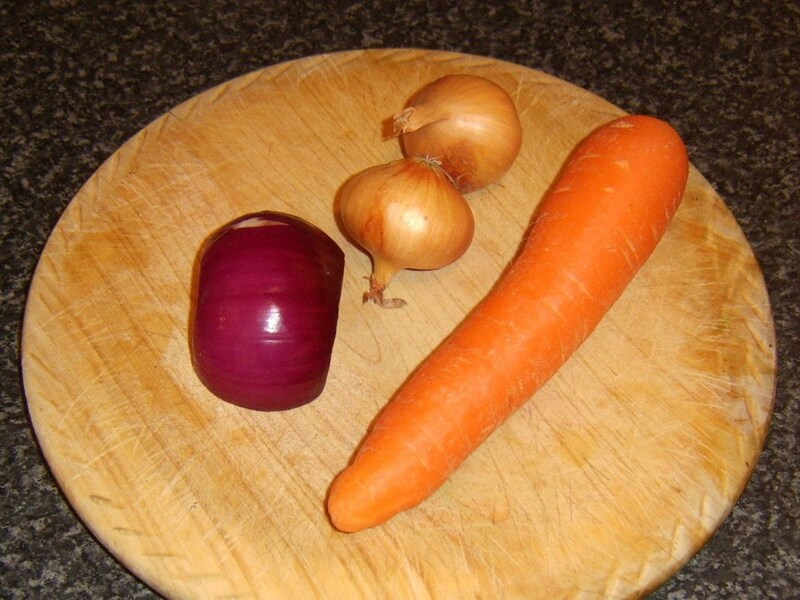 Peel, half and slice the onion. Add the vegetables to the frying pan and sautee for a couple of minutes. Pour in the black bean sauce and increase the heat until the sauce just begins to simmer. 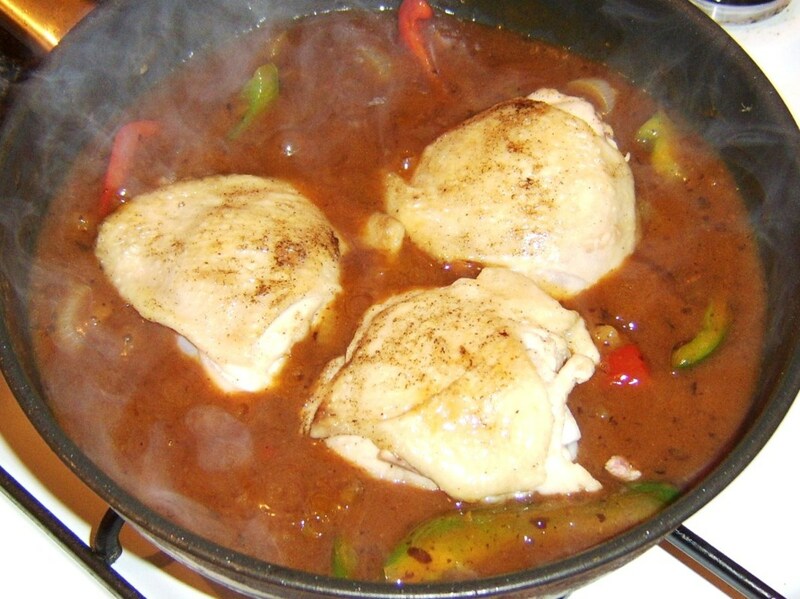 Lay the chicken in the sauce and place the lid on the frying pan. Simmer for thirty minutes, turning the chicken thighs after fifteen. Use a large slotted spoon to transfer the vegetables to a deep serving plate. 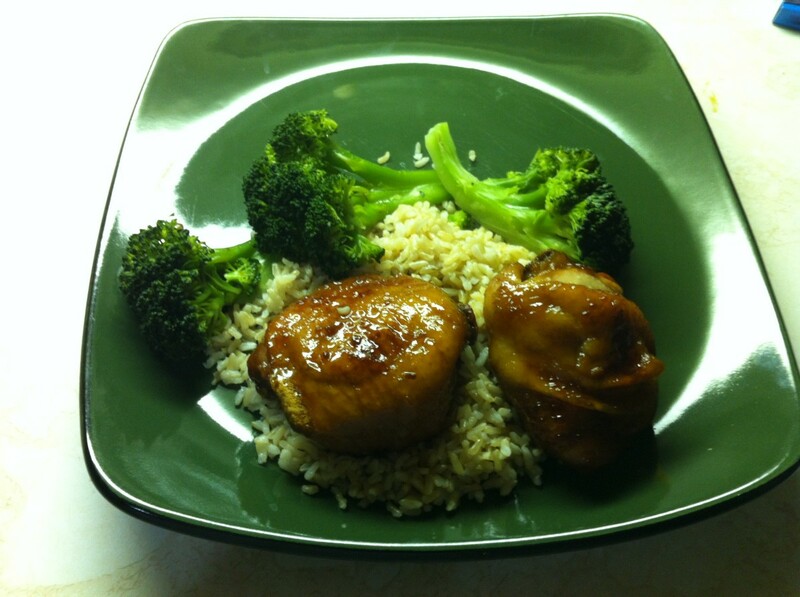 Lay the chicken thighs on top and spoon over as much of the sauce as is required. Rice, boiled or fried, could of course also be served with this recipe to make an even more substantial meal. The chips in this recipe are prepared in three stages but they can be prepared in any manner of your choosing. 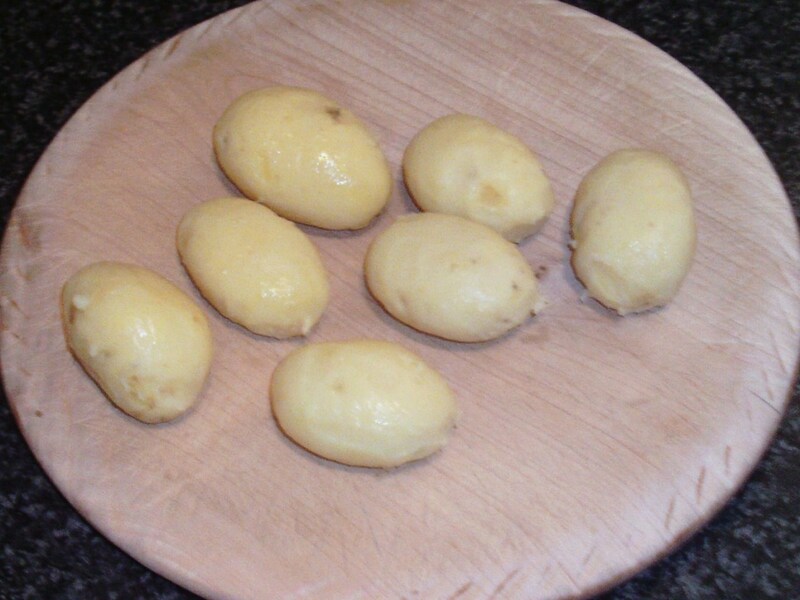 A large baking potato is peeled and sliced and chopped in to chips. The chips are added to a pot of cold water which is brought to a simmer for five minutes. Drain the chips, allow to cool and place them in a plastic dish and in to the fridge for half an hour. Pat them dry in a clean tea towel and deep fry for five minutes. Drain on kitchen paper, cool and refrigerate for a further half hour. They will then be given a second and final fry while the chicken is resting after being removed from the oven. To cook the chicken thighs, preheat your oven to 200C/400F. Lightly oil a roasting tray and place the chicken on it, skin side up. Season with salt and freshly ground black pepper. 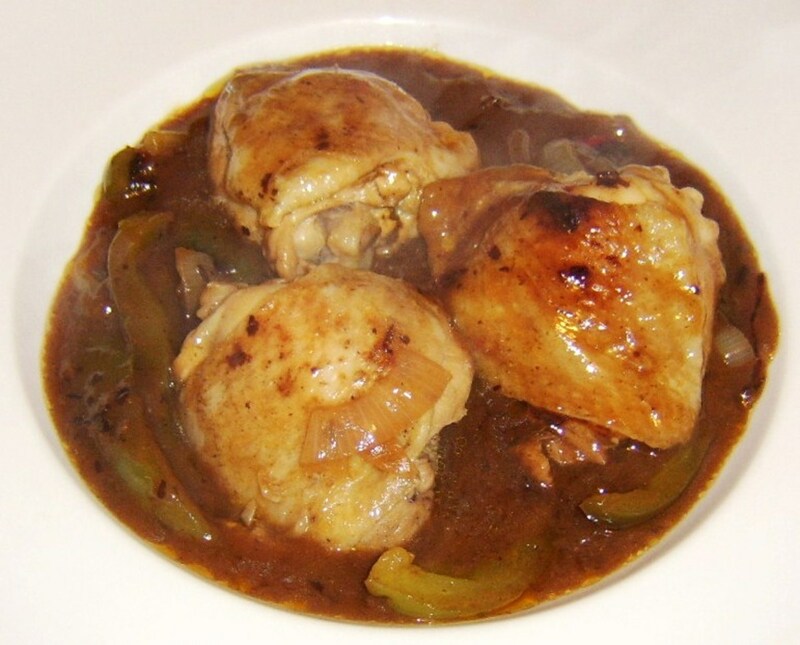 Cook for thirty to forty minutes, depending upon the size of the thighs. Ensure the juices run clear and that they are fully cooked. Cover the tray with foil to let the thighs rest while the chips are deep fried for a further five or six minutes. Drain the chips on fresh kitchen paper. 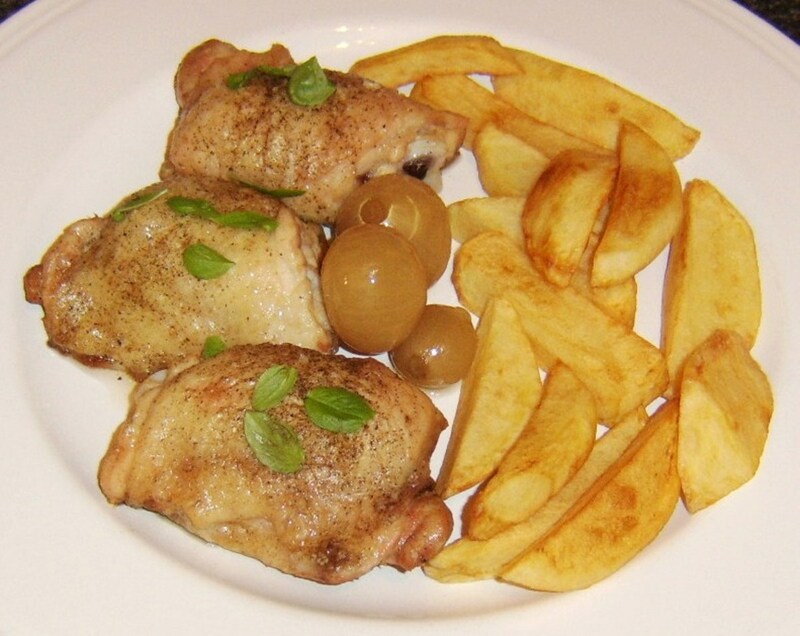 Plate the chips and chicken thighs, optionally garnish with some freshly torn basil leaves and try them served with some homemade pickled onions as the perfect accompaniment. 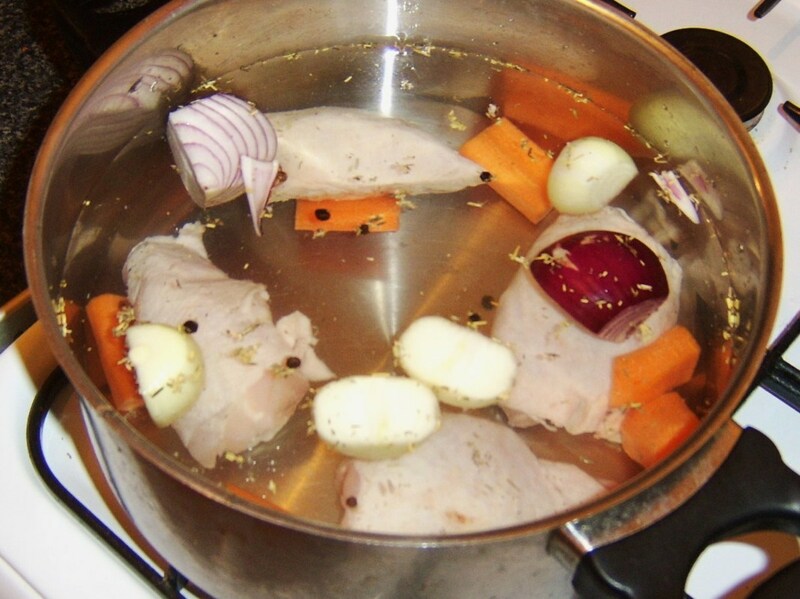 Chicken stock, whether for making soup or anything else, is normally prepared with a whole chicken. In this instance, however, the thighs do the job most effectively. Lay the thighs in a large soup or stock pot. Wash, top, and tail the carrot—but there is no need to peel. Roughly chop. Peel the onions/shallots and roughly chop. Add the vegetables to the pot and season with the peppercorns and salt before measuring and pouring in the cold water. Put the pot on a high heat until the water begins to boil then reduce to simmer for thirty minutes. 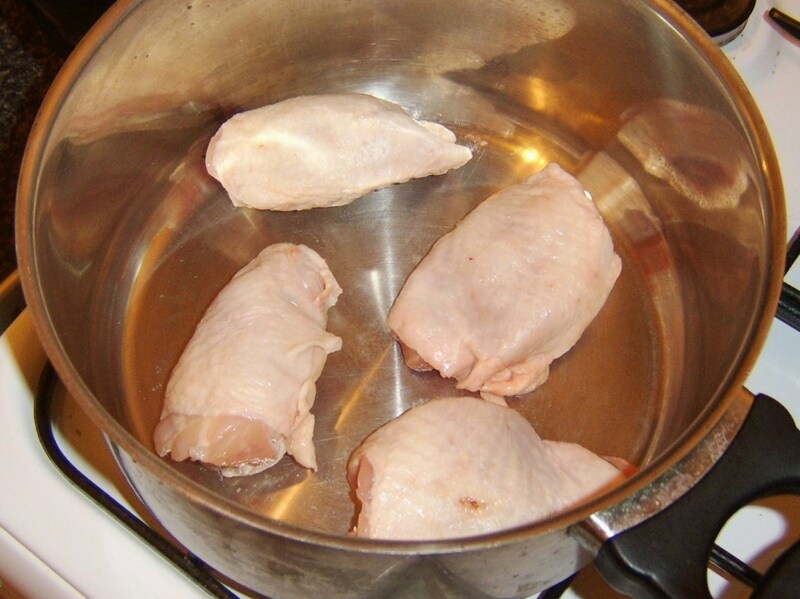 Turn off the heat and use a large slotted spoon to remove the chicken to a plate. Cover and allow to cool. 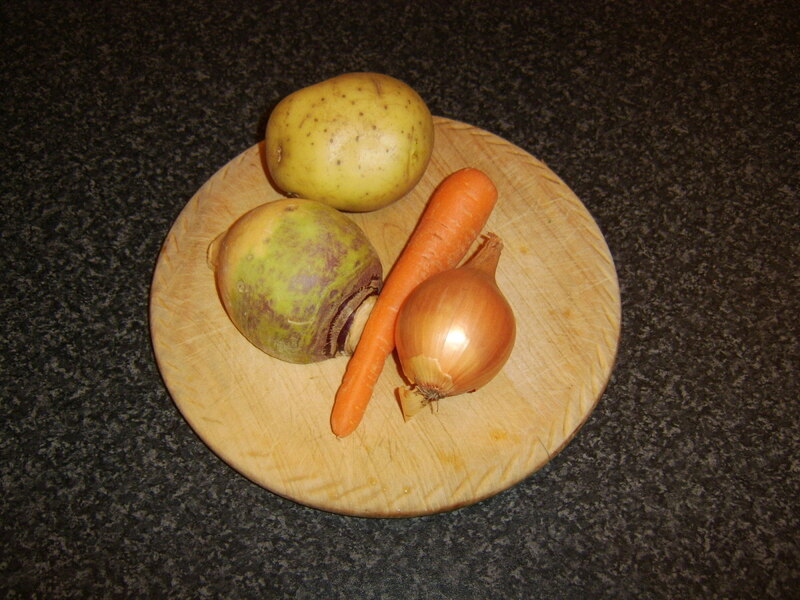 The larger pieces of vegetable can also be removed with the slotted spoon and discarded. Cover the pot and leave to cool. 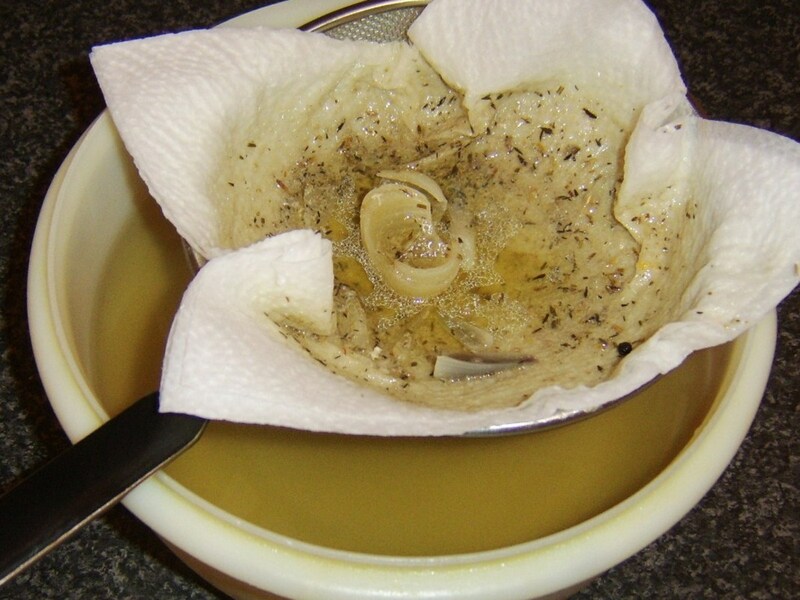 When the liquid is almost or completely cool, it has to be strained to remove the smaller solids and much of the fat. An easy way of doing this is to line a sieve with three or four sheets of kitchen paper and secure it over a large bowl or basin. 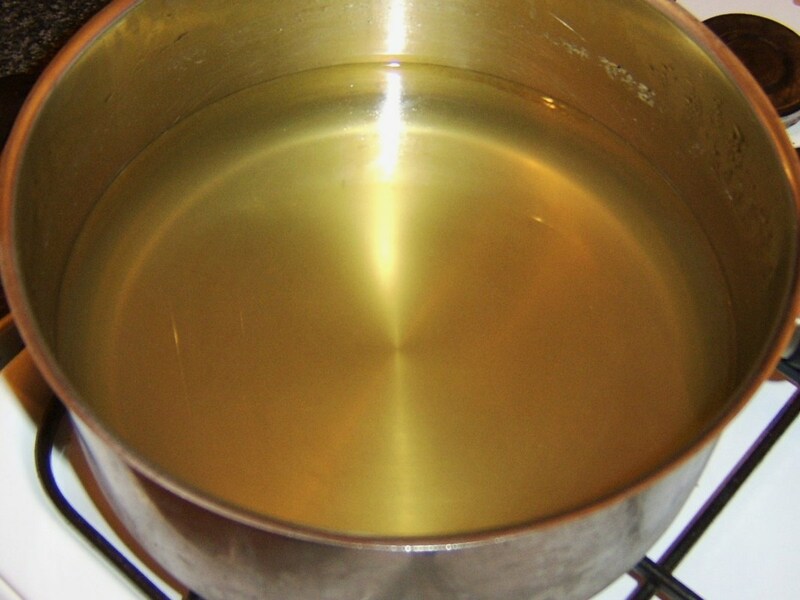 Simply pour the broth in (you may need to do this in stages) and allow to strain. 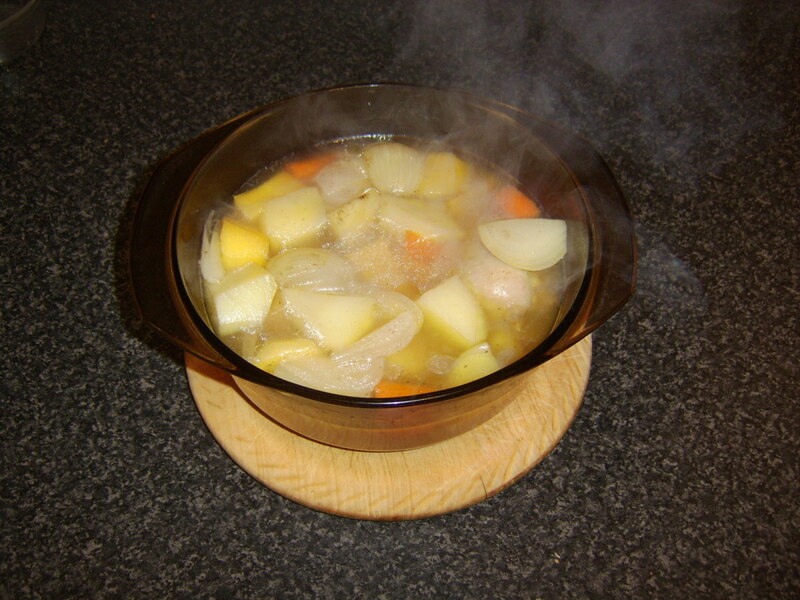 The soup can be made immediately, or the stock can be refrigerated or frozen until it is required. Whole thighs for making stock and soup. Bringing stock ingredients to a simmer. Pour the strained stock back in to what should be the clean stock or soup pot. Put it on to a high heat to begin heating while you prepare the vegetables. 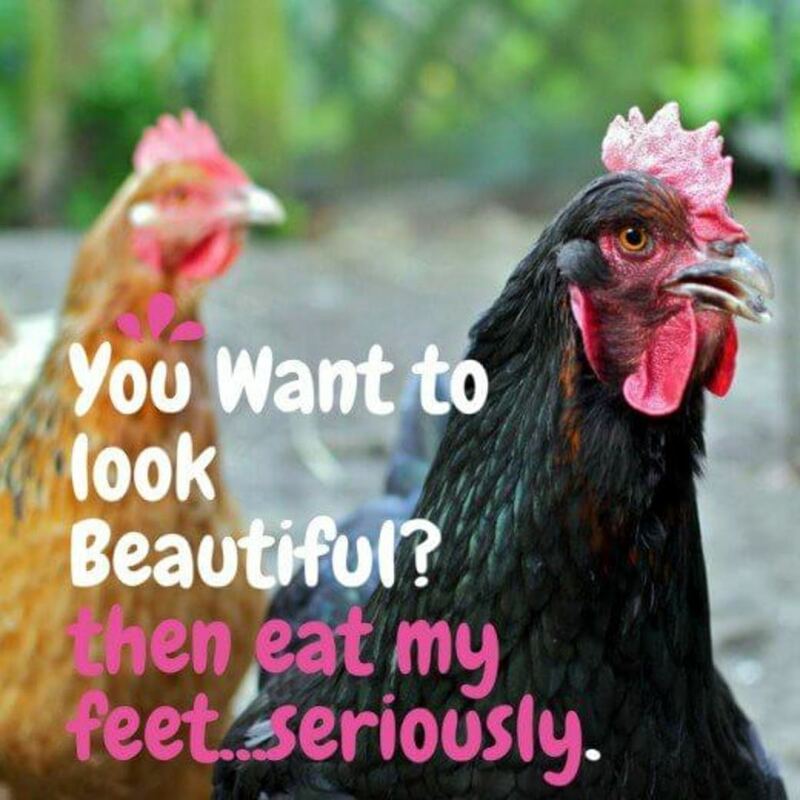 Wash, top, tail and peel or scrape the carrots. Slice one of them only in to discs around half an inch thick. The other two should be coarsely grated. Cut any remaining leaves or root from the leek. You will find it easier to wash if you cut it first. Slice in to discs as with the first carrot, place in a colander and wash under running cold water. Peel the potato and Swede and dice to about a half inch. 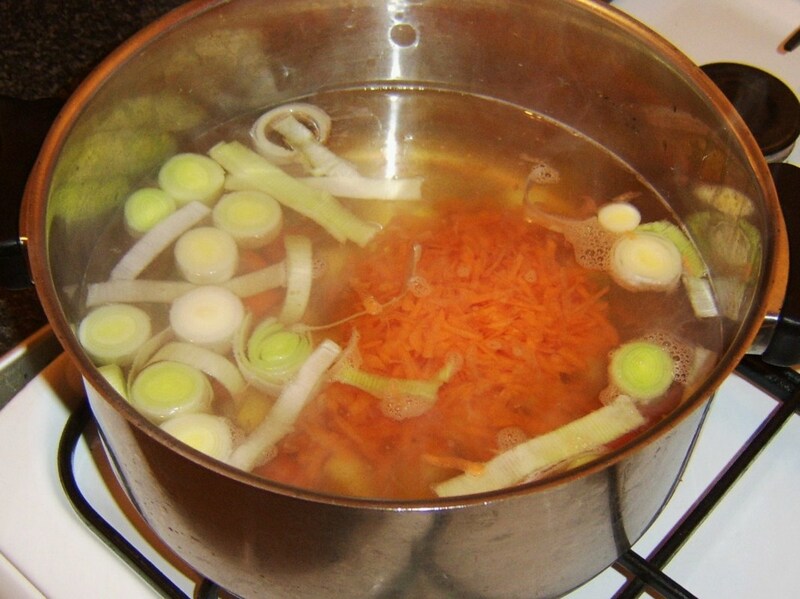 Add all the vegetables to the stock and bring to the boil before reducing the heat and simmering for half an hour. 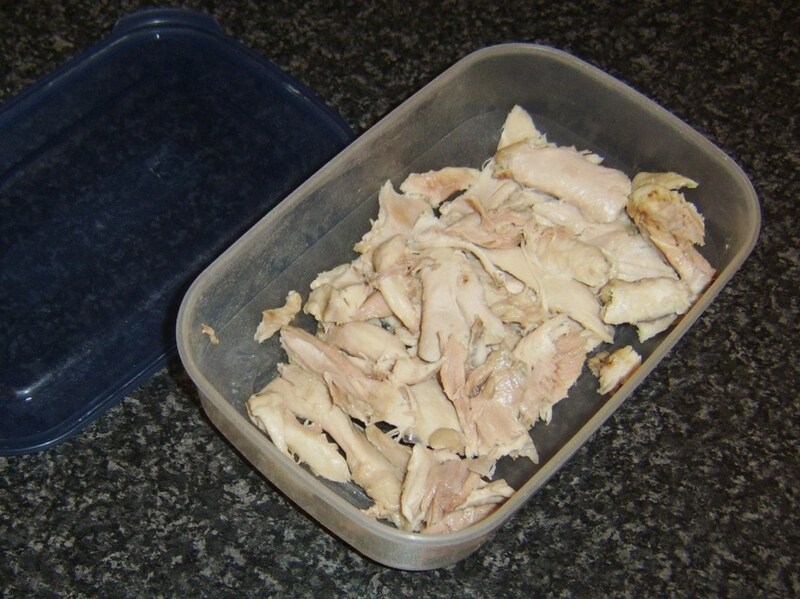 Peel the skin from the cooled chicken and discard. 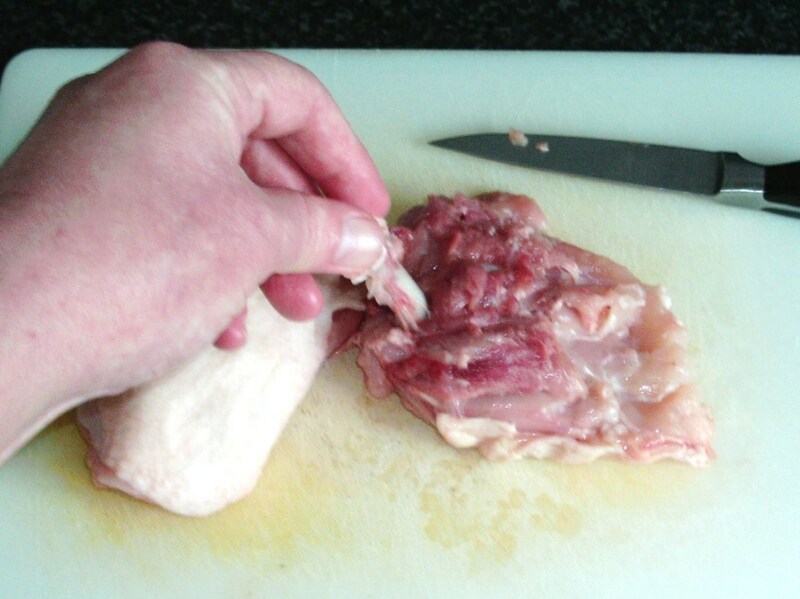 Using your hands, pluck the meat from the bones in moderately large pieces. Wash and roughly chop the parsley. 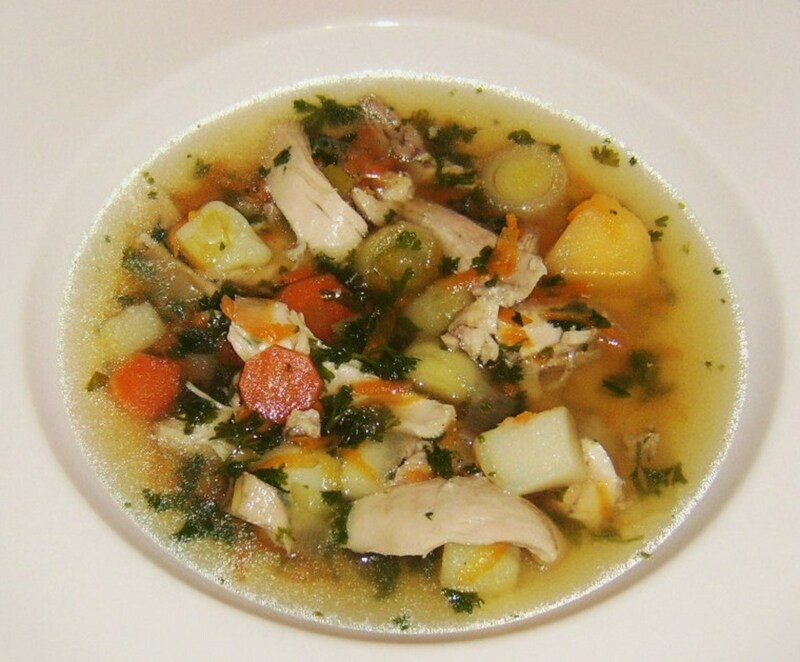 When the soup has simmered for half an hour, add the chicken pieces and parsley. Stir well and simmer for a further ten minutes. Taste the soup for seasoning and adjust accordingly. It can now be served immediately or cooled and refrigerated or even frozen to be reheated fully when required. 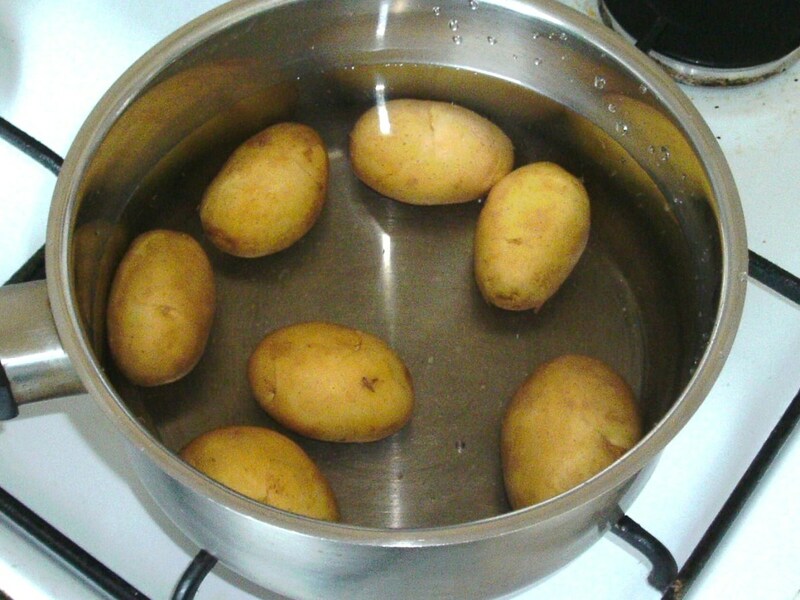 Put the potatoes unpeeled in to a pot of cold, slightly salted water. Bring to a simmer for about twenty-five minutes until the potatoes are just softened. Drain and set aside to cool. Put your oven on to preheat to 425F/210C/Gas Mark 7. Filleting is not difficult, but it's important to use a very sharp knife and be ultra careful. 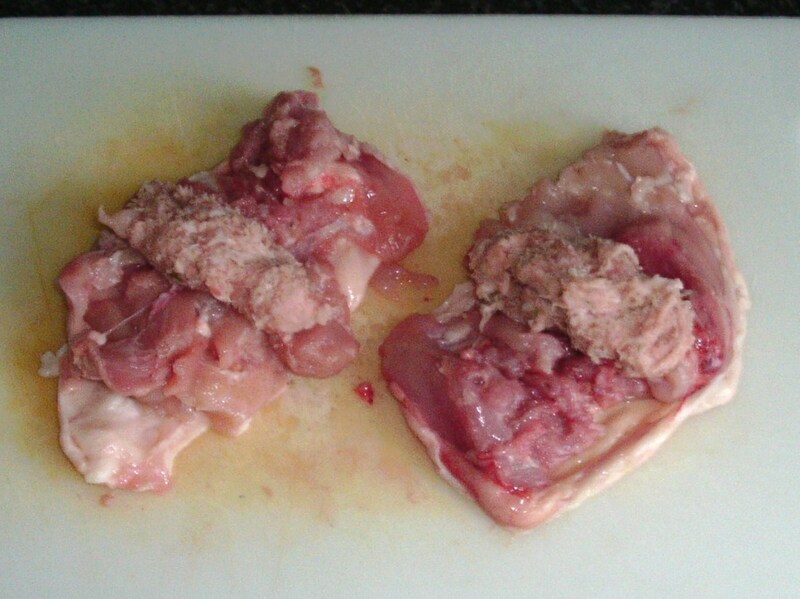 You could ask in store for this to be done on your behalf or you could buy already filleted thighs. 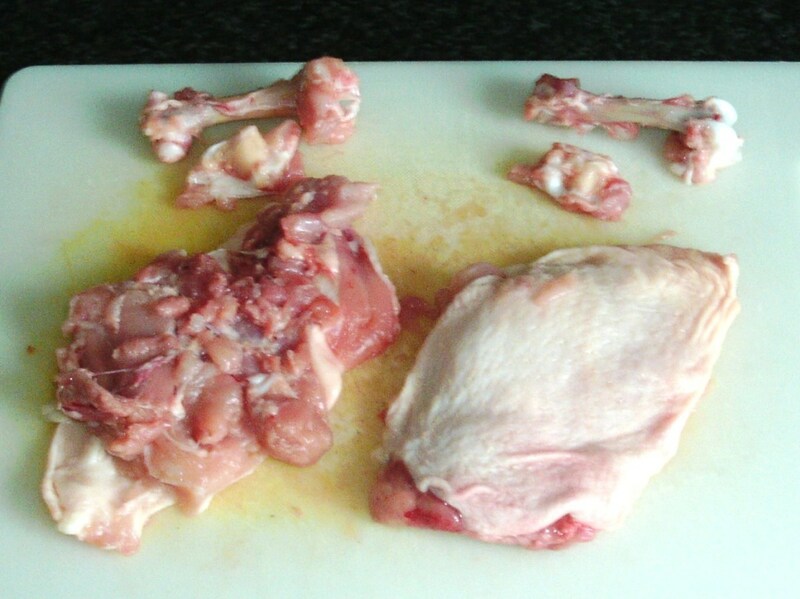 Be aware though, sometimes filleted thighs cost much more (up to double the price!) and often the skin will have been removed. 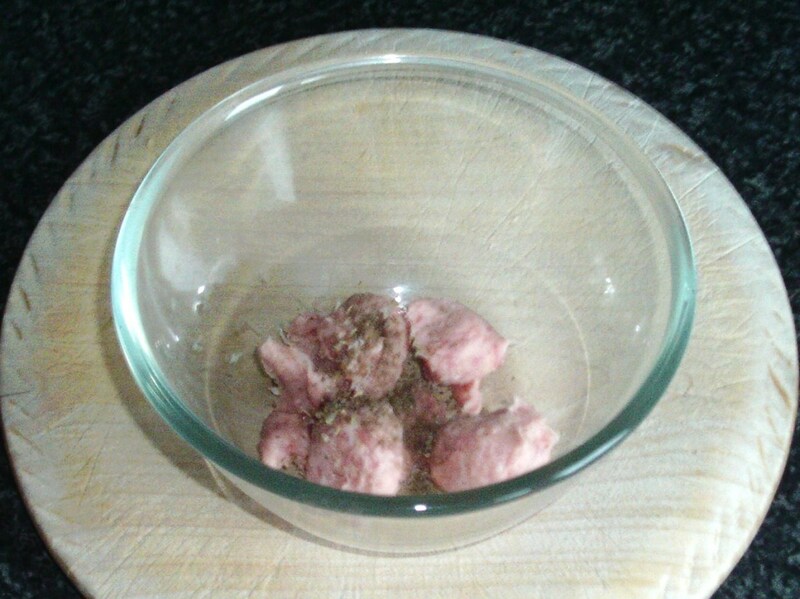 Cut the skin open on the sausages and squeeze the meat in to a bowl. Season with salt, pepper and the dried sage. Mix by hand. 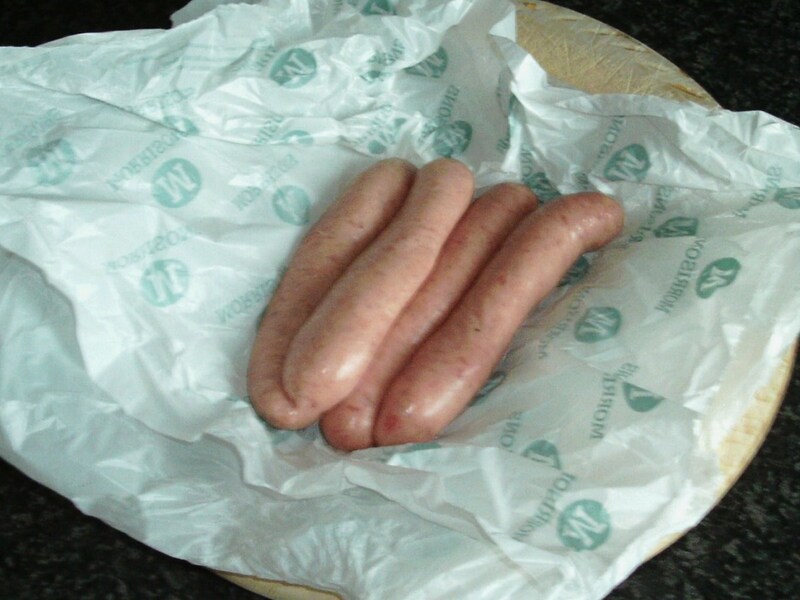 Lay a strip of sausage meat in the centre of each fillet and fold the fillets back up to resemble what they were before they were filleted. Lay the fillets on a lightly oiled roasting tray. Oil the skins and season with salt. 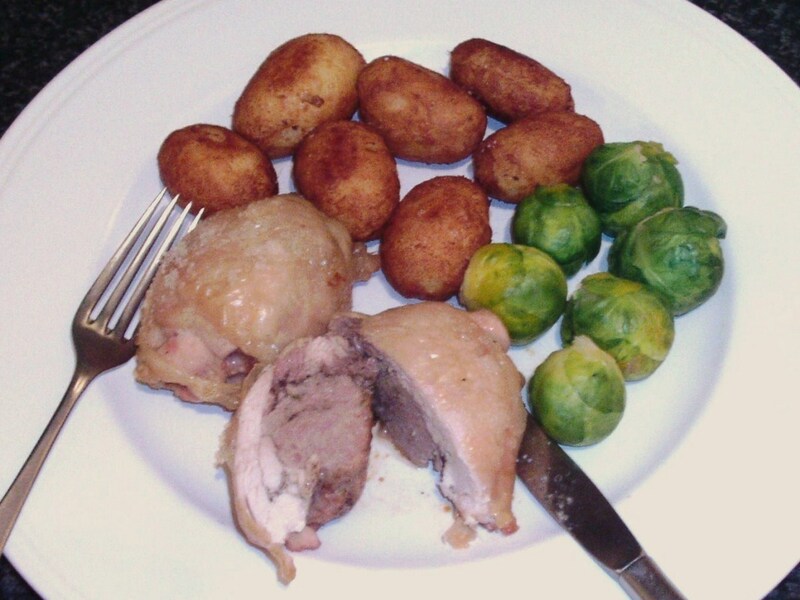 Roast in the oven for thirty-five to forty minutes or until the skin is crisp and golden. Remove and set aside to rest for five to ten minutes. 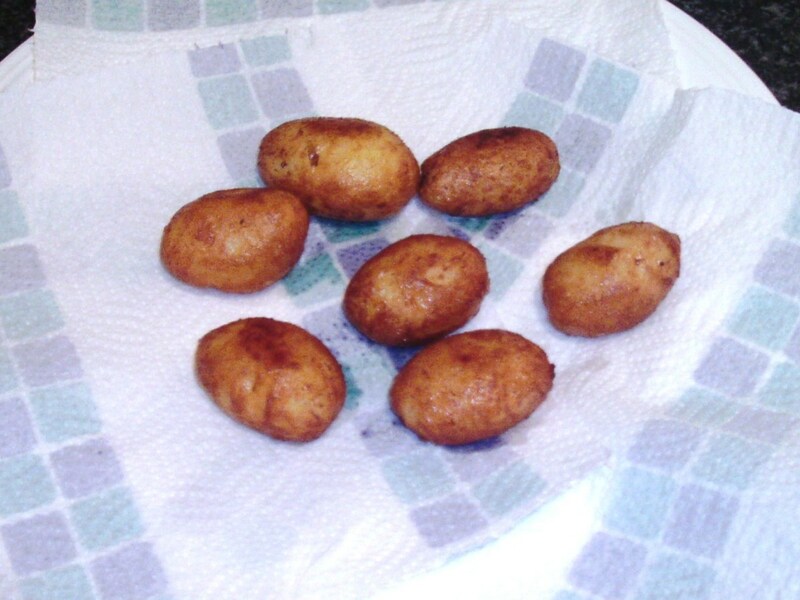 Peel the cooled potatoes and deep fry in hot oil for five minutes. Drain on kitchen paper. 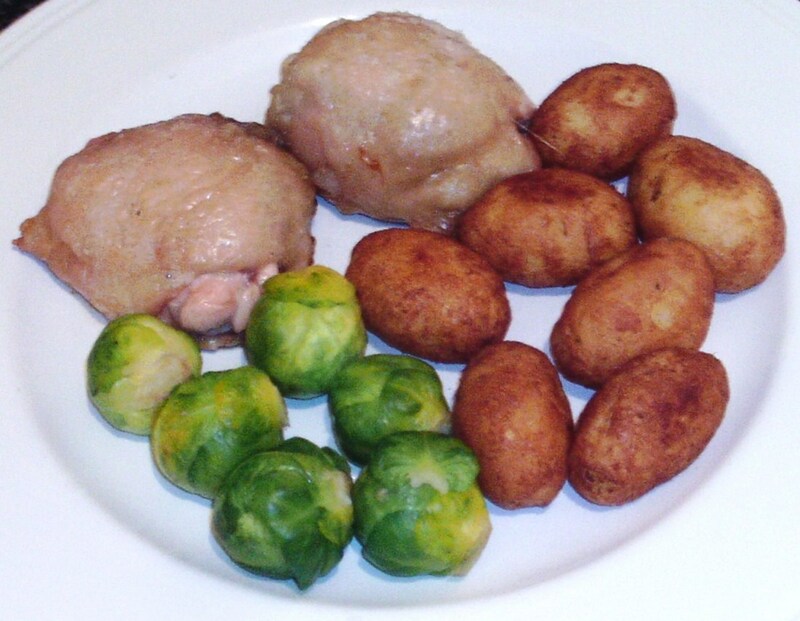 While the potatoes are deep frying, simmer the sprouts also for five minutes in salted water before draining to serve. Thank you for visiting this page and hopefully you have found something here which appeals and you will want to try. Any comments or feedback which you have may be left in the space slightly below. Derdriu, thank you for your wonderfully in depth comment. The rutabagas are definitely my personal preference for the casserole. With regard to the sauce, I use so many different types in this way, I couldn't really pick a favourite. Another one I love to use is oyster sauce. The reason I used black bean sauce in this instance was that I picked one I am very fond of but hadn't cooked with for a while. 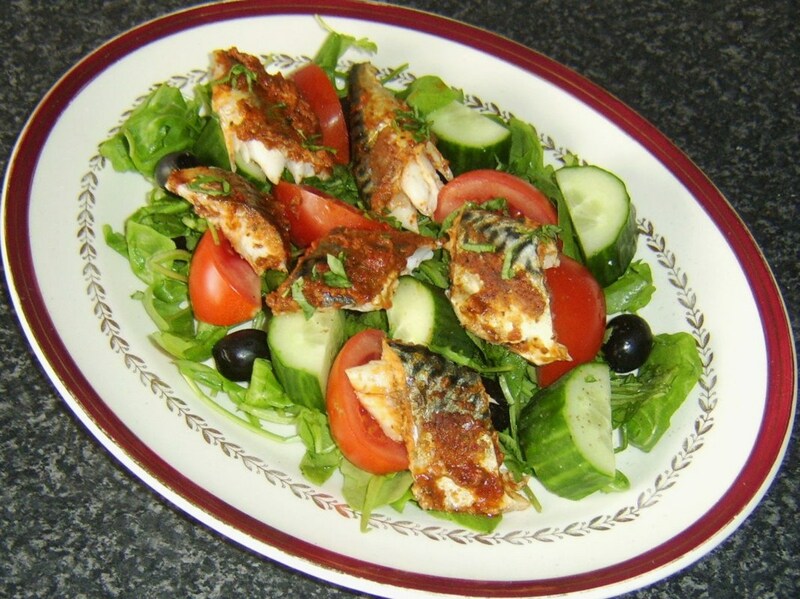 Gordon Hamilton: What competitively delectable, delicious, scrumptious, tasty recipes! 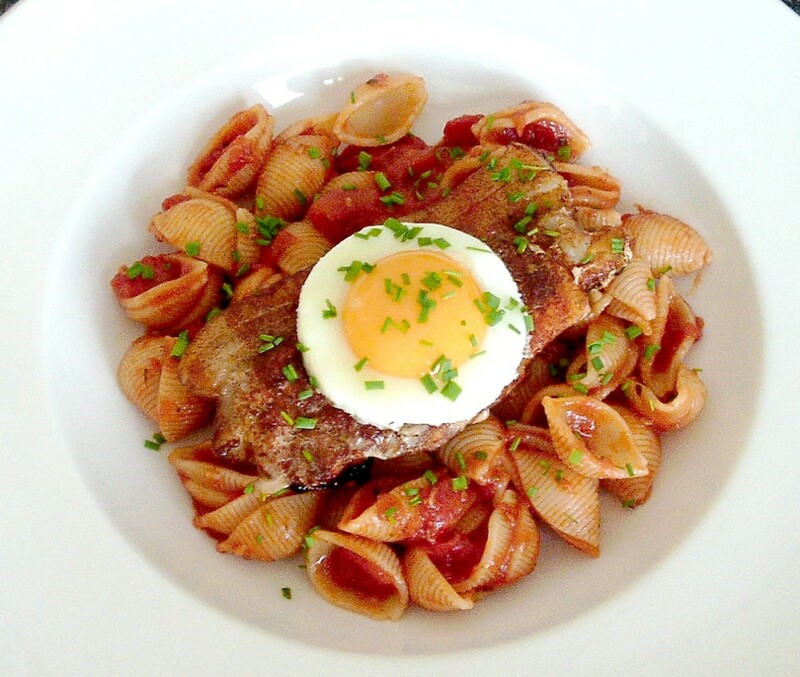 As usual, the instructions are appetite-stimulatingly clear, and the photos positively hunger-inducing. 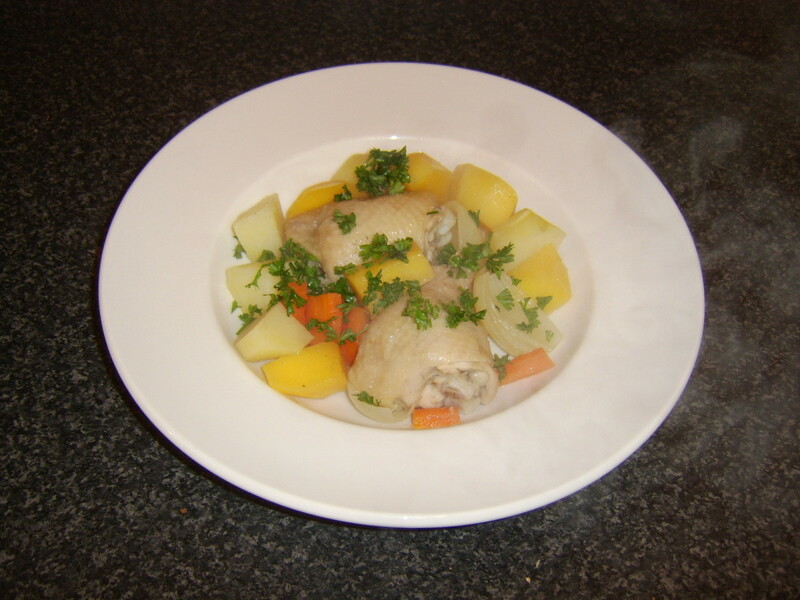 In particular, I like the root vegetables casserole and the chicken soup. 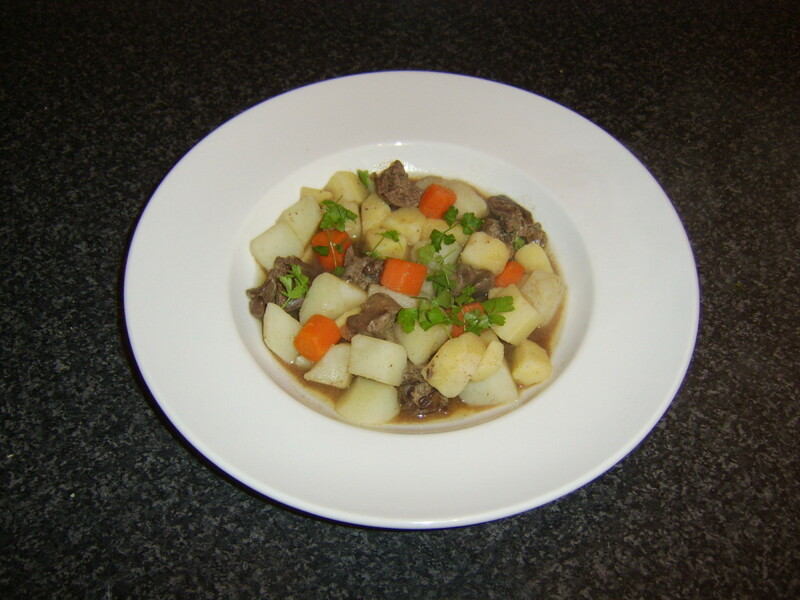 Do you prefer rutabagas or turnips in the casserole and black bean/curry/sour/sweet sauce? The latter seem like they really could vary the taste. Good choice, Cat R. I hope that you enjoy it. Thanks for visiting and commetning. Thank you, Jakipret. Hope you give one of these ideas a go. I think my favorite would be the Chicken in Black Bean Sauce. Sounds great!